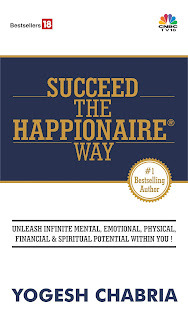 Yogesh Chabria - The Happionaire ​Blog - Best Motivational Speakers In India - Inspiration, Success: You Have To Bite Into This Goli! You Have To Bite Into This Goli! I love reading and with Divine Grace, people keep sending me books. My publishers, CNBC-TV18 recently sent me a very interesting book My Journey With Vada Pav by Venkatesh Iyer. It is the true story of Goli Vada Pav, dreams and entrepreneurship. Anyone who has been to Bombay/Mumbai knows how much the city loves Vada Pav. It is also a city that loves entrepreneurship and a place where all dreams can be fulfilled. I love the city, the energy and the ability to achieve whatever you want. It is the city that has given us Shah Rukh Khan, Priyanka Chopra, Akshay Kumar, Sachin Tendulkar, Dhirubhai Ambani – all of whom came from humble beginnings. They could achieve what they wanted here because this city loves people who can perform. Mumbai has given me a lot too and The Happionaire Way wouldn’t have been what it is, if it wasn’t for this city that embraces vision, dreams and entrepreneurship. 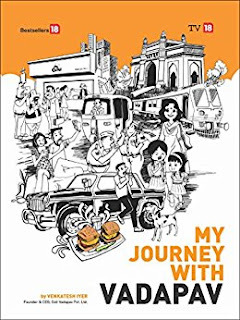 Goli Vada Pav was started by Venkatesh Iyer who is a first generation entrepreneur and this book charts his journey. Venky (as he likes to be called by friends) has a cushy corporate job, lives in a plush neighborhood and is enjoying life. Until one day he decides to quit it all because of his passion for food and entrepreneurship. He looks at McDonald’s and gets inspired to do something similar with our very own desi version of a patty in a bun – the humble Vada Pav. 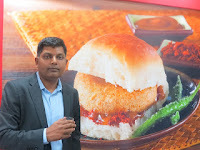 He starts Goli Vada Pav and we get insights into how he grows the business with franchisees and a focus on standardization, operations and quality. It is a story of dreams, destiny and the challenges every entrepreneur faces. The story is quite entertaining with lots of ups and downs. Amongst other things, Venky also shares about the financial challenges he faced and how he was on the verge of bankruptcy. Through it all, the book shows us the power of persistence and determination and the ability to fight back and rise up after falling down. After reading the book, I felt inspired and tempted to bite into a Goli Vada Pav. Venky was kind enough to share a vast variety of their offerings at his office and I also got to meet his wonderful wife and team. I enjoyed the steaming hot Vada Pavs and his equally delightful story. I am sure Venky and his team will continue to grow and am looking forward to seeing India’s very own Goli Vada Pav opening a store in Times Square soon! Go ahead and pick up the book - you will love it! sounds like an excellent read and just buying it on Amazon! Thanks for sharing this Yogesh and inspiring us! 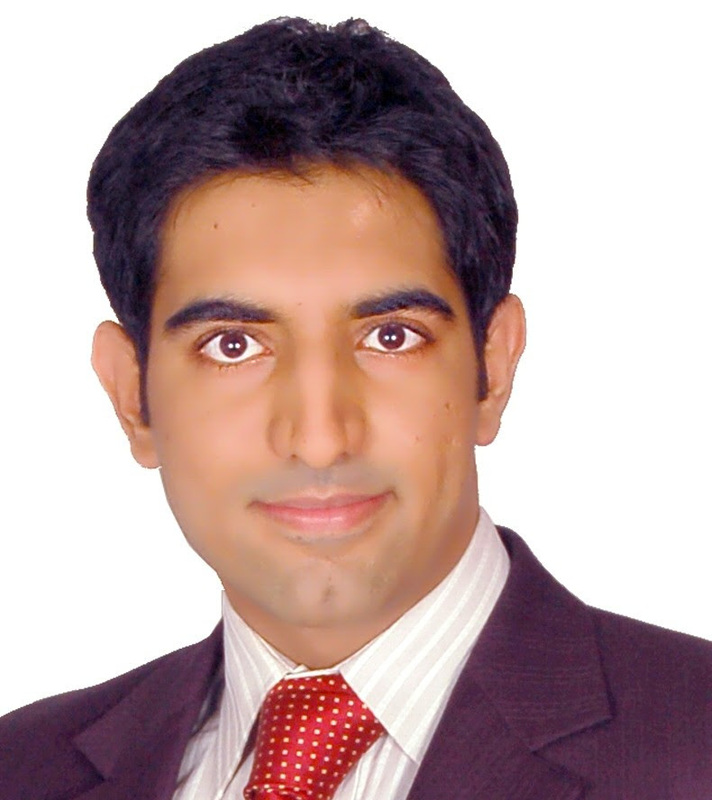 I always look forward to your posts and get to learn something new everytime Yogesh and so happy to be a happionaire for almost 10 years. You have tempted me to pick up this book and also eat Goli Vada Pav - do they have a store in Mumbai? I recently attended your wonderful seminar on Sales and loved reading this. Vada Pav is like an Indian Burger? sounds tempting and delicious! See you in Australia soon Yogesh! Proud of Goli Vada Pav and thanks for sharing this Yogesh, am surely picking up this book! !